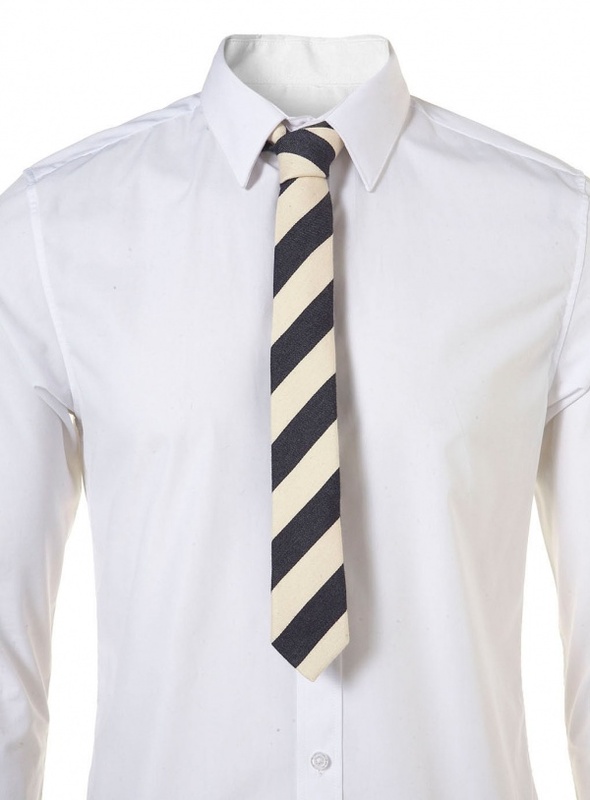 Jazz up that boring white dress shirt with this striped textured tie by Topman. 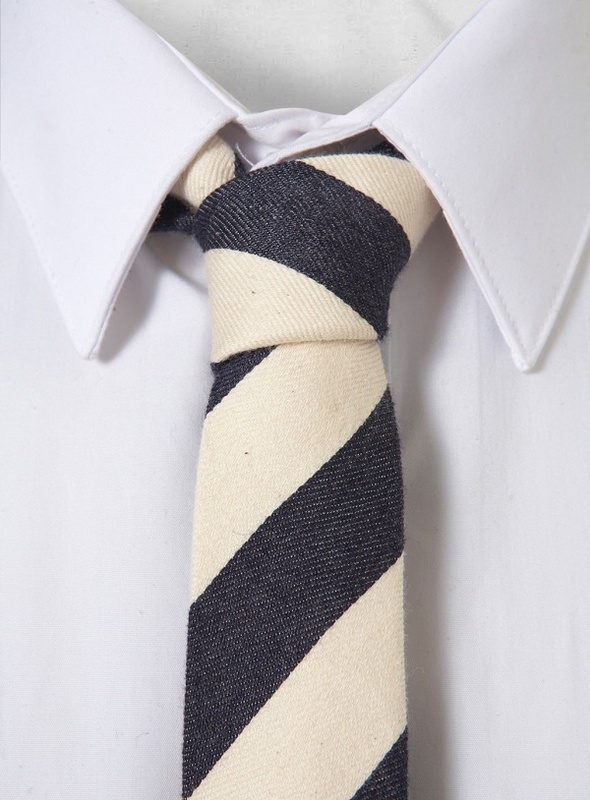 Available in a navy and off-white stripe, this slim polyester and wool blend tie is the perfect alternative to your every day silk accessory. Get yours online from Topman.